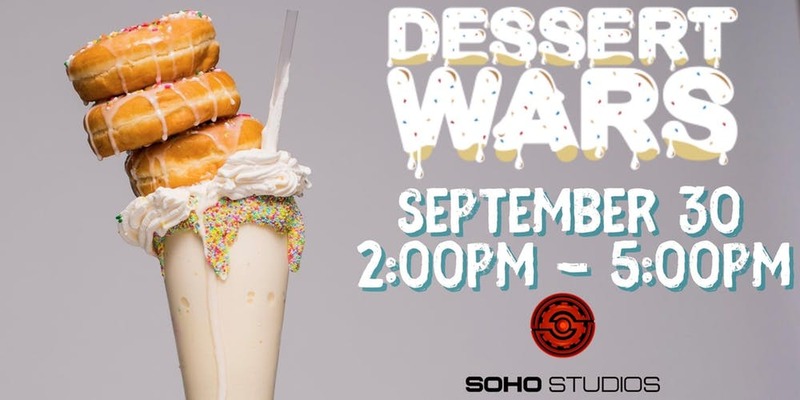 Dessert Wars Miami, Season 6 will take place on September 30, 2018 at Soho Studios in the heart of Wynwood. Dessert Wars Miami is a celebration of the “foodie” lifestyle, featuring over 50 dessert vendors vying for the title of Dessert Champion of Miami. The event features a wide array of desserts ranging from cupcakes, cookies, ice cream and doughnuts. VIP tickets cost $40 and include one go-box, unlimited sampling and entry at 2:00PM. General Admission tickets cost $20 per person and include one go-box, sampling from 30 vendors of your choice and entry at 3:00PM. Children 2 years and older require a ticket to the event.